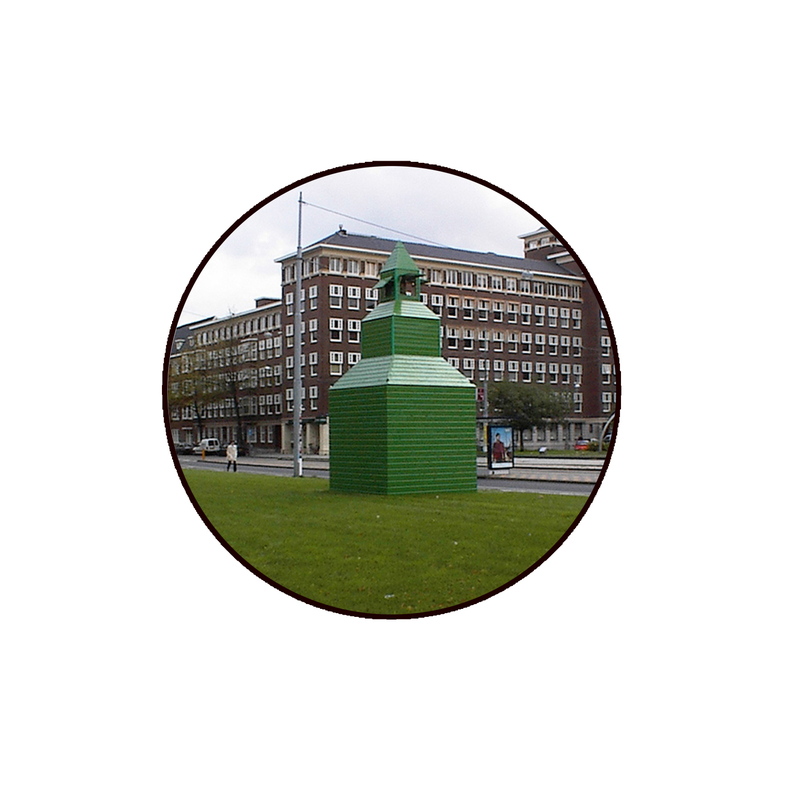 The green square structure appeared on 6 old squares in the old city of Amsterdam. The structure transformed three times a day to an old Dutch Bell tower. Once completely erected shutters flipped open and the chimes sounded to attract attention. Then on each square you could listen to a soundscape about the former function of that location.